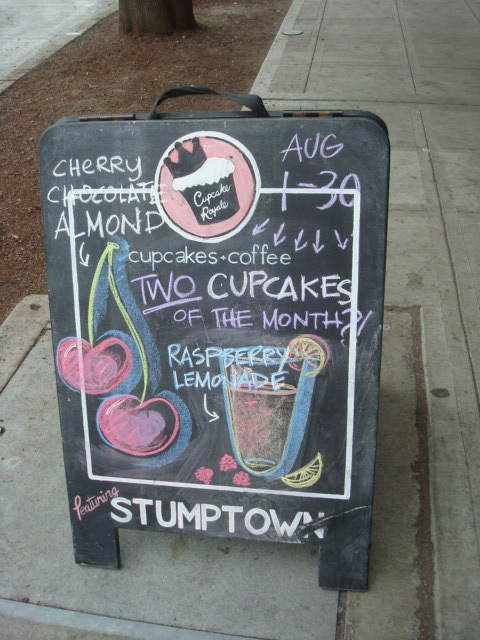 Cupcake Royale has not one, but two flavors of the month. Raspberry Lemonade, on the one hand, sounds refreshing, and the perfect mix of sweet and slightly tart. But if excess and rich chocolatiness are your thing (they're mine), go for the Cherry Chocolate Almond--a triple threat of awesome. Both flavors will be available all August long at the four Cupcake Royale locations; for directions and contact info, visit www.cupcakeroyale.com. Of course, you can keep up to date with their goings-on at legalizefrostitution.blogspot.com and via Twitter.